I have been using a PA0RDT active mini whip from Roelof Bakker for about a year now. The PA0RDT antenna has served me well. Clean and able to pull in signals that a 260 foot loop and various long wires cannot. I recently bought a RA0SMS active mini whip from Anton Gavrilov and having major noise issues. Both the PA0RDT and RA0SMS are powered by a 12v wall wort (same model #), on a non conducting mast @ 20 feet, and fed with 50 ohm coax. The radio is a Yaesu FT-950 with an RSP2 as a panadapter. The 12v power supply is choked with snap-on ferrites. 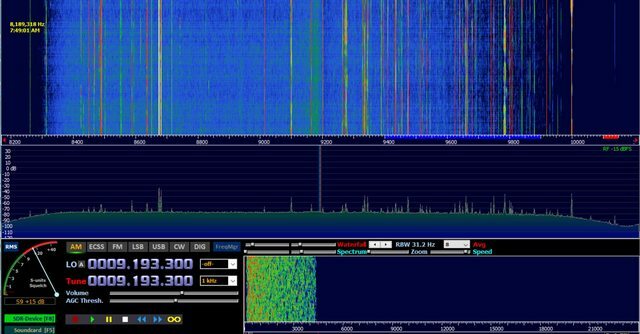 The RA0SMS produces noise approximately every 10 KHZ - the noise is present from LF all the way through HF. 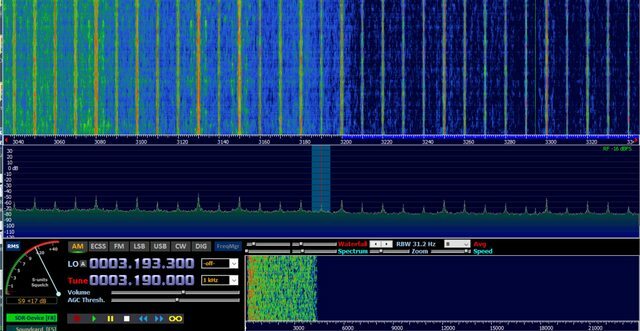 The noise is visible and is rendering the antenna unusable. You can see the noise spikes in the first three photos, and the lack of noise with the second set of three photos. Below is a comparison on of the two antennas switched through an Alpha Delta 4 position coax switch. 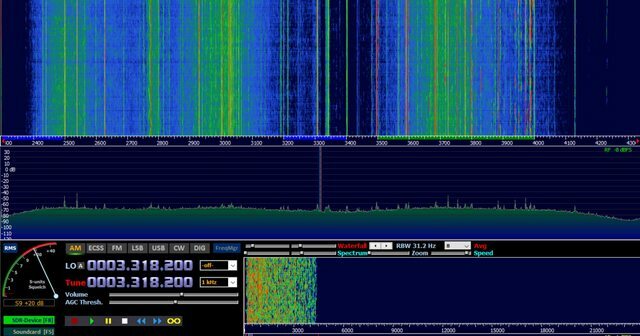 What could be causing the noise across all bands with the RA0SMS? All things are equal with the exception of the antenna and power feed unit. The PA0RDT is clean and rarely overloads, even with Broadcast AM, with the Yaesu FT-950. Have you tried to use the RA0SMS with the other wall wart ? Or with a 12V battery ? 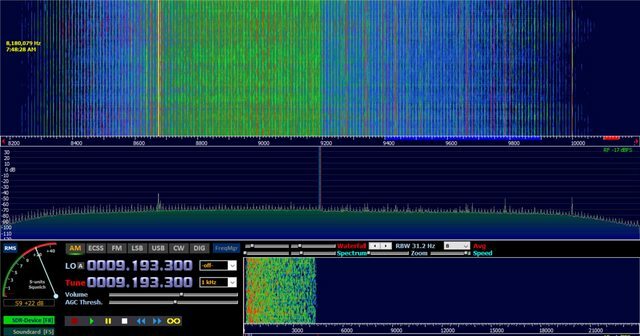 But the strange thing is that the spikes are right on 10 kHz harmonics. The second idea is some rectifying of strong MW (AM band) signals, inside the RA0SMS or from a bad contact in the downlead line. Make sure the gain is the same as well as the freq range when testing, reason being if the same conditions do not apply, then you may be overloading the radio with one amp and not the other. Also some switching mode power supplies use 10kc as a resonating freq and can show up on an antenna as they are transmitting, this is a good reason to endeavor to persevere to use only linear power supplies. Also also, a pc or networking gear may make rfi every 10Kc or so, most pc and networking related gear employs switching mode power supplies due the efficiency, rfi be damned. I swapped the PS between the two antennas. The noise stays with the RA0SMS regardless. Someone suggested I swap the polarity of the PS by flipping it upside down, or powering it the 'opposite' way. That produced no change either. What is a downlead line? I am using an Astron linear PS for my Yeasu. I can say with certainty that the noise is not present with the PA0RDT or any of the random wires I've messed with. 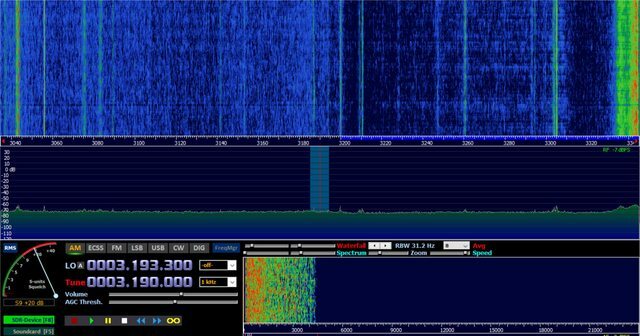 The noise is only present with the RA0SMS. If the schematic I'm looking at is correct, there are only two active devices in the antenna, a dual gate mosfet, and a bipolar transistor. The mosfet does a voltage to current conversion, and the bipolar transistor is used to drive the line. Both devices should be biased as class A to minimize distortion. If the bias is incorrect, or if the front end mosfet is damaged somehow, odd behavior, images, or other distortion products can be present, especially in the presence of strong RF or AC fields. Looks very simple, will have to roll one and see how it fares. The dynamic range specs are outstanding. so ... does any of that help explain the noise or how to fix it? I am using an Astron linear PS with a Rig Runner. I could use this to power the antenna too, correct? One of the urls linked to in my post shows that others suffer from the same effect as you do with that antenna, you may be stuck with it. The other links are to other active antennas that may be immune to the malady your chosen active antenna seems to suffer. Sorry you missed that. As dual gates often have diodes across their inputs it's possible for the diodes to be activated in the presence of strong signals and this will cause imd inside the active antenna itself, in the case of an ambc signal source, it might result in harmonics every 10kc. That being said, have you tried any ferrites on coax and power leads? And yes, you can use the astron to power the setup, give it a shot. The downlead line is the line between the antenna and the receiver, in your case a coax line, but there are also all the accessories along (connectors). What if you connect the antenna direct to the RSP2 ? Gone to all the links given by Josh. Thinking about overload from MW/AM stations from your neighbourhood. 2. Less risky : just under the active antenna, add a lot of short radials connected to the screen of the coax. How long? Just my guess, between 1/4 to 1/2 of the length of the coax. (edit : but avoid anything near 1/4 wavelength for any band of interest). I have also seen on one the links that 12 V may be too strong for the power supply. Someone had the better results with just only 4.5 V. Maybe not the best for good dynamic range, but surely a way to less gain for the front stage. On a like note to the ambc source, perhaps reducing the antenna voltage probe in size might reduce the imd. In other words, if the antenna is 12 inches long, cut it down to 6 and see how it plays. "endeavor to persevere"----as spoken by Chief Dan George in the movie "The Outlaw Josey Wales,"
Lol thanks, I wondered if anyone would comment on that, one of my fav quotes of a fav quote from the uncle who got me into this radio mess.